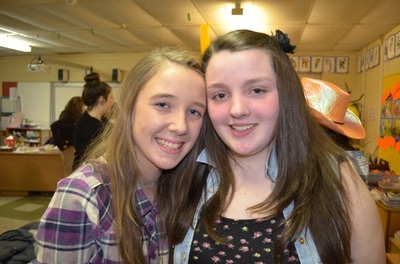 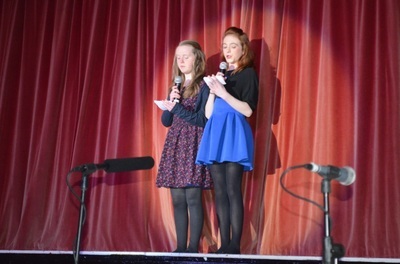 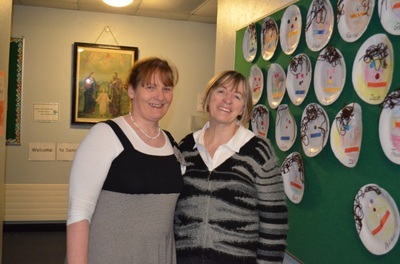 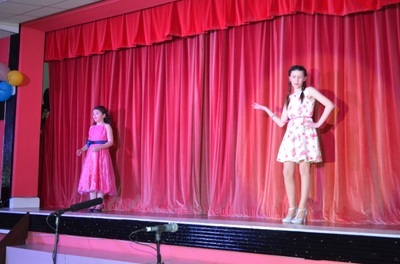 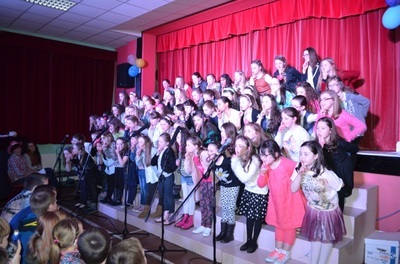 Our Variety Concert was on 26th and 27th March. 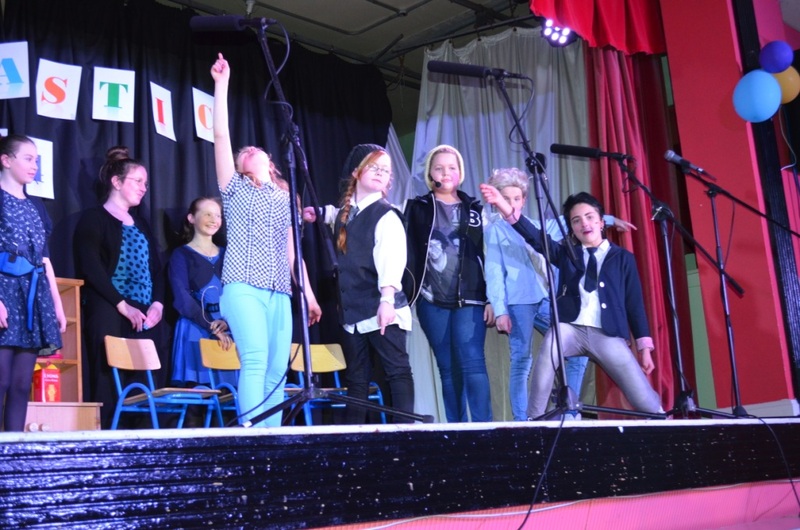 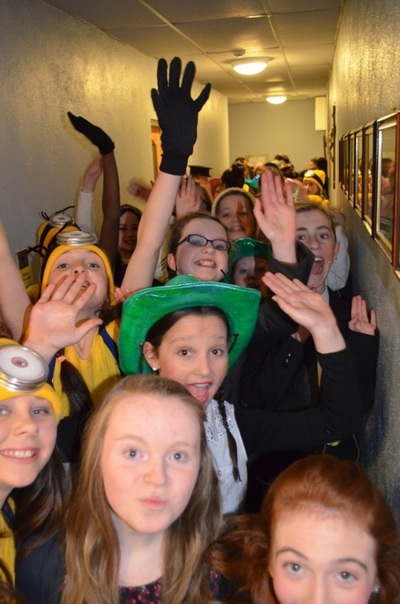 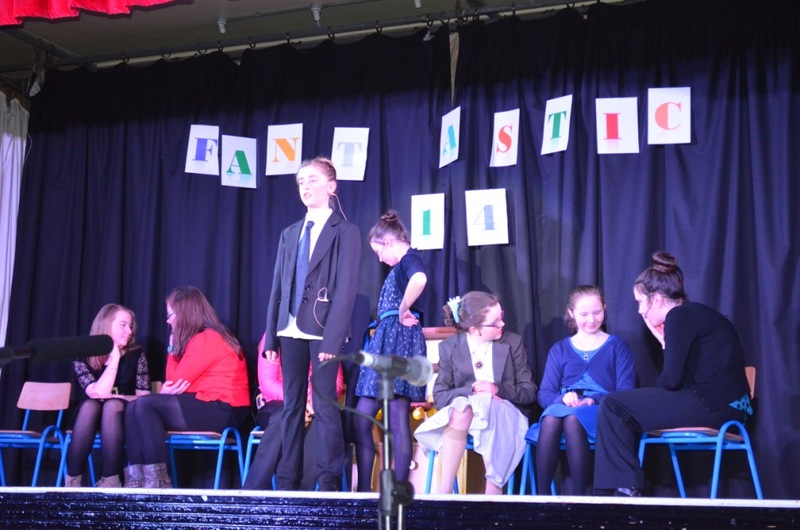 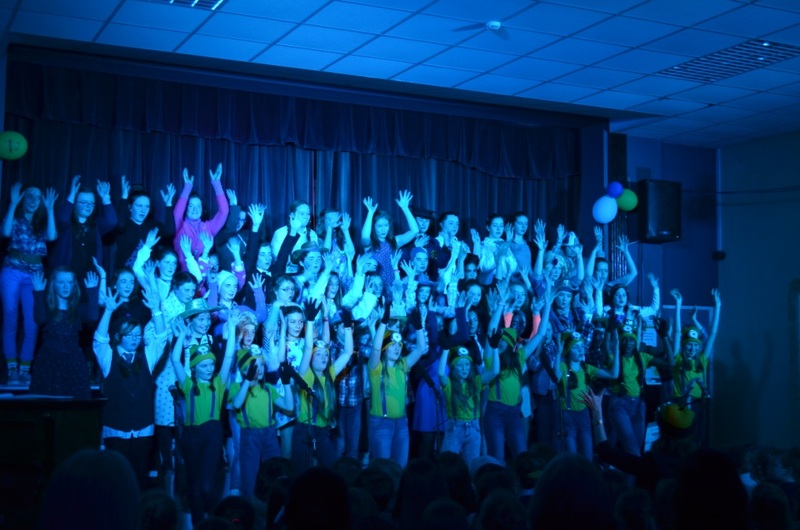 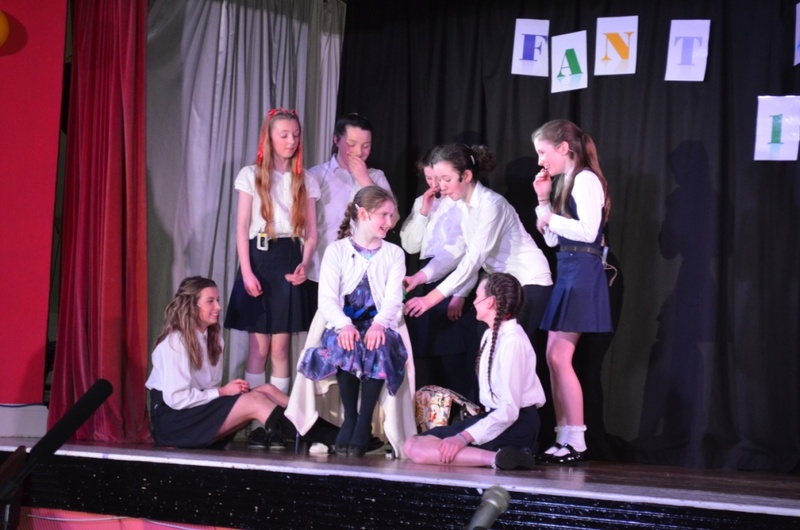 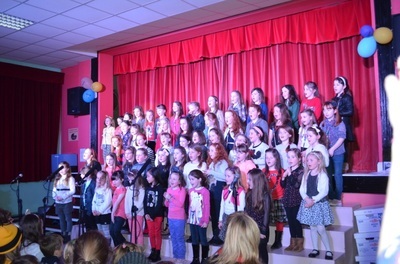 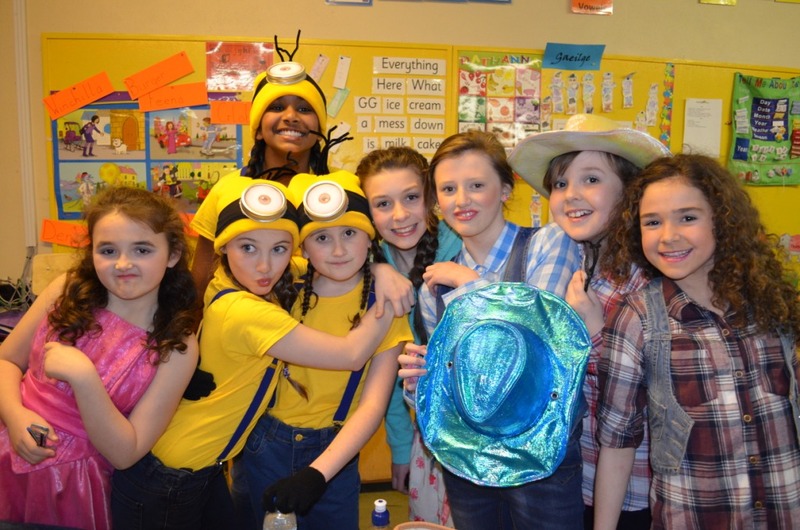 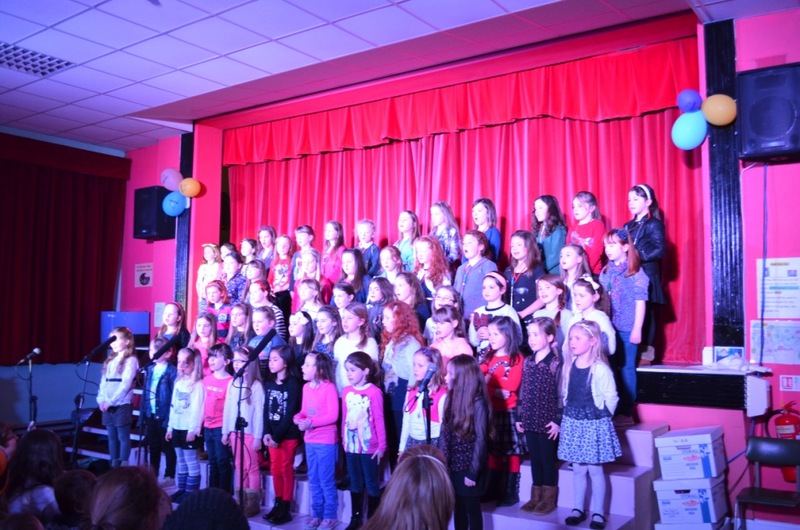 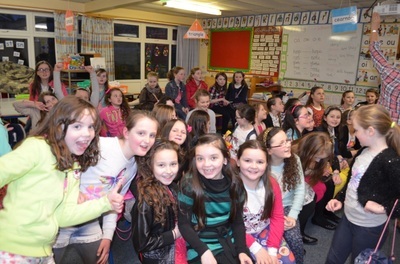 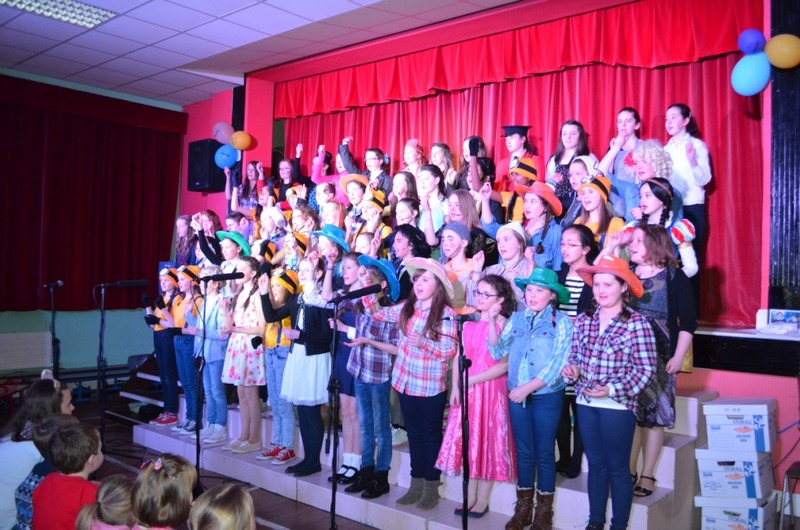 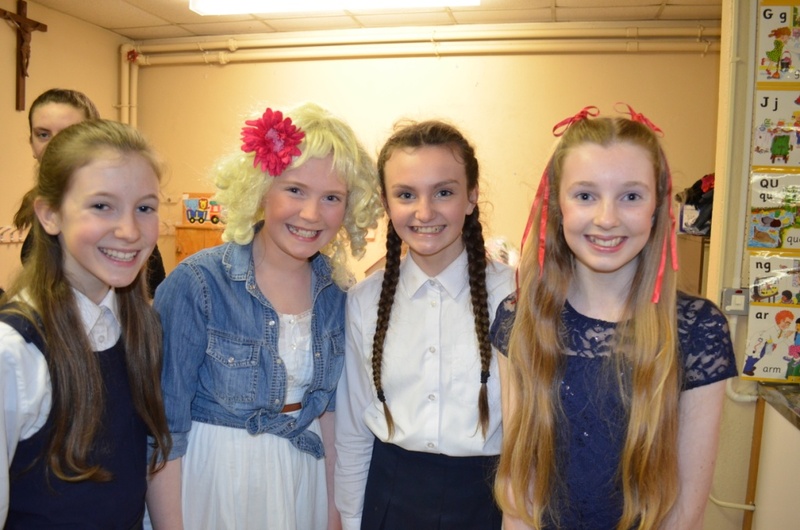 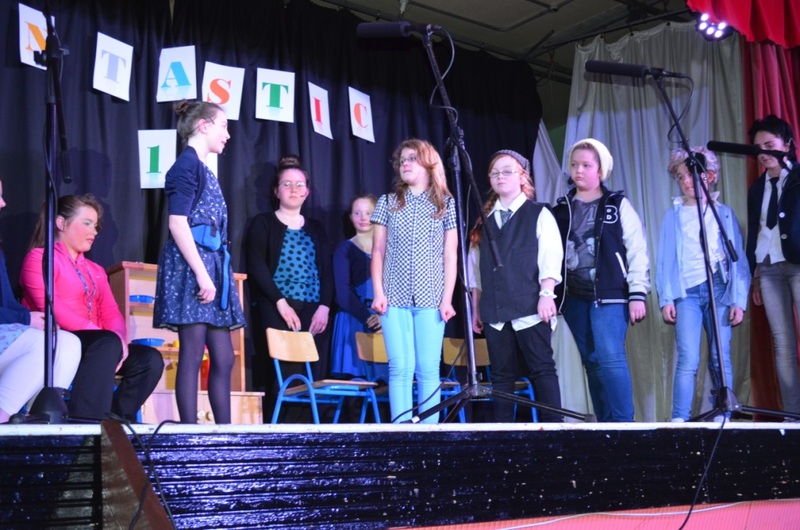 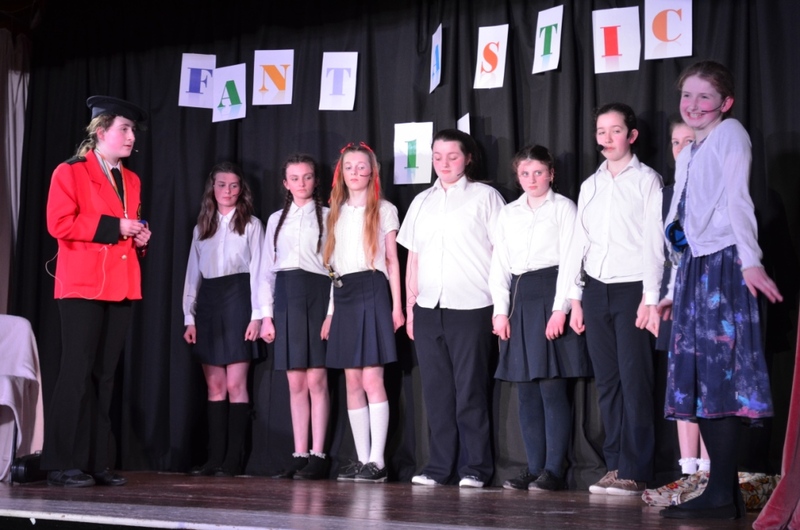 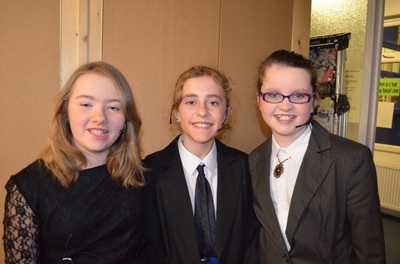 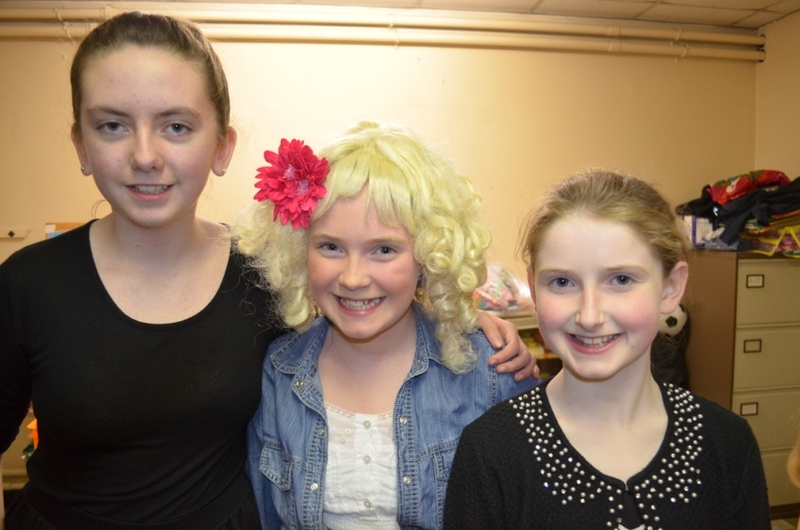 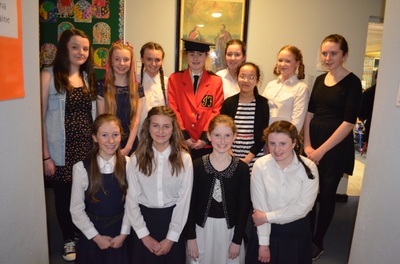 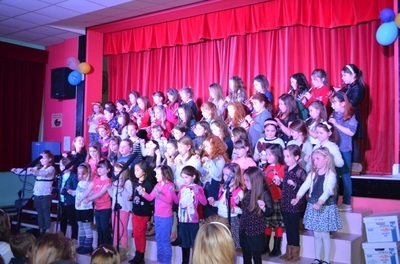 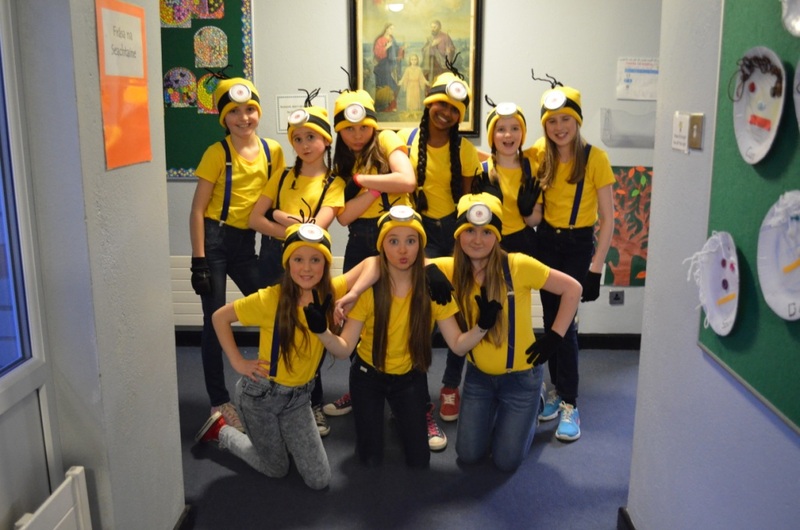 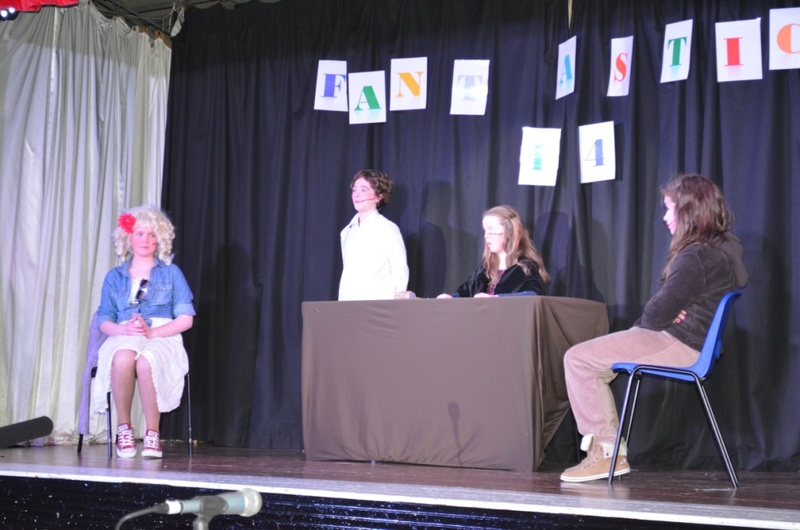 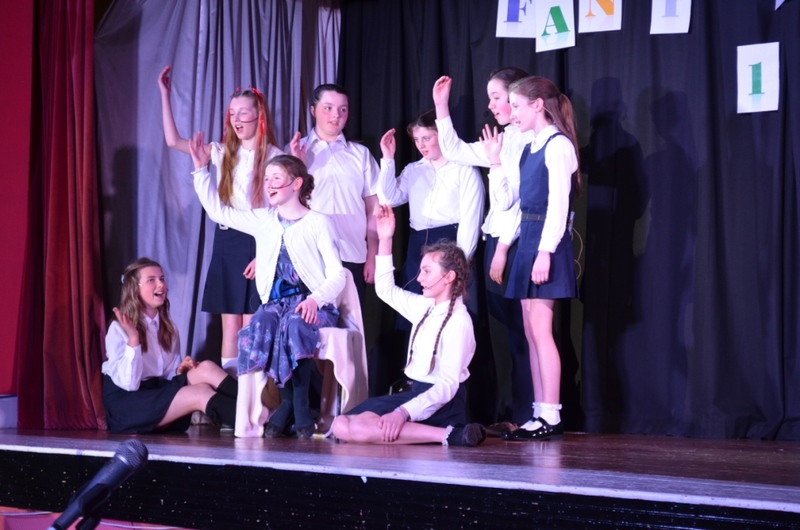 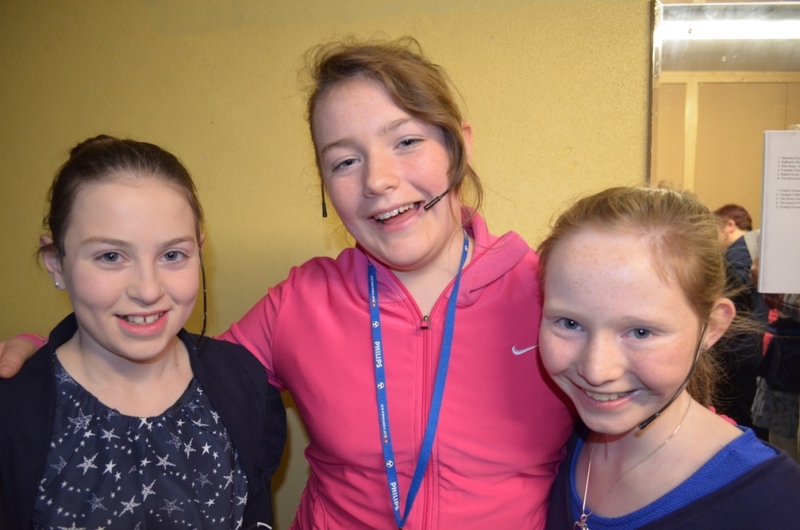 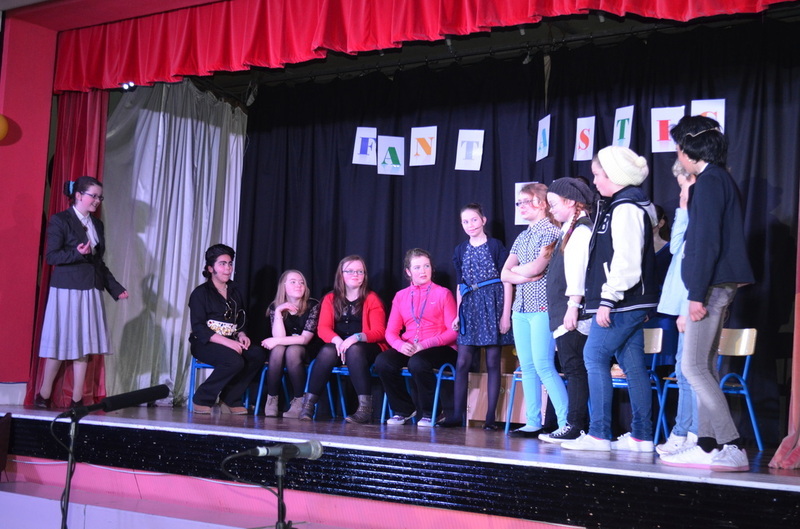 The choir and drama group, comprising of girls from 5th and 6th class performed a wide variety of acts. 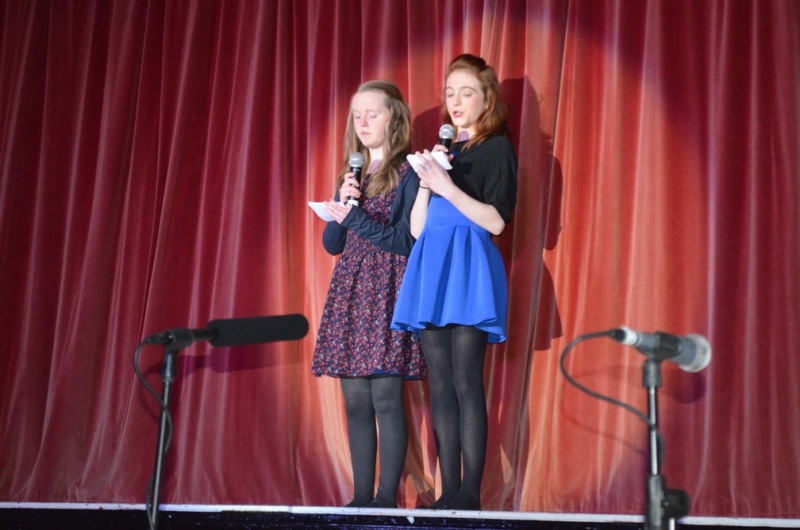 The opening chorus was a selection of songs from the Sound of Music. 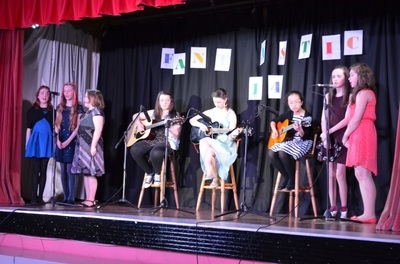 This set the mood for the show. 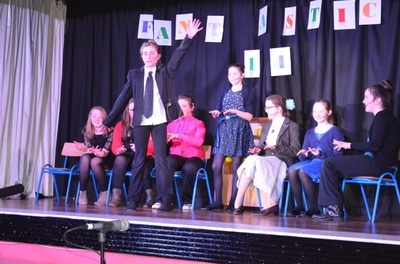 Following this the first drama group performed a play we scripted about the “Twilight Zone Staffroom” which was a hilarious comedy based on the lives of teachers who are visited by the best Elvis impersonator, who is acting a substitute for extra cash, and a group of lost boys, (One Direction) whose bus has broken down. 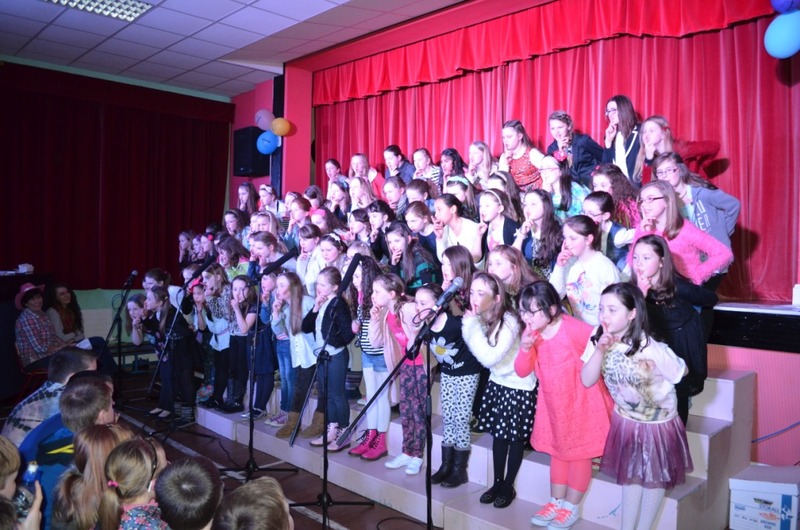 This was followed by a beautiful rendition of “Voice of an Angel” by a Sixth class pupil. Following this there were fantastic fairytales, where Sleeping Beauty’s sister was not impressed with her choice of boyfriend, David Charming, and Goldilocks was brought to court before the inimitable Judge Judy to account for her reckless behaviour breaking into the house of the Three Bears. 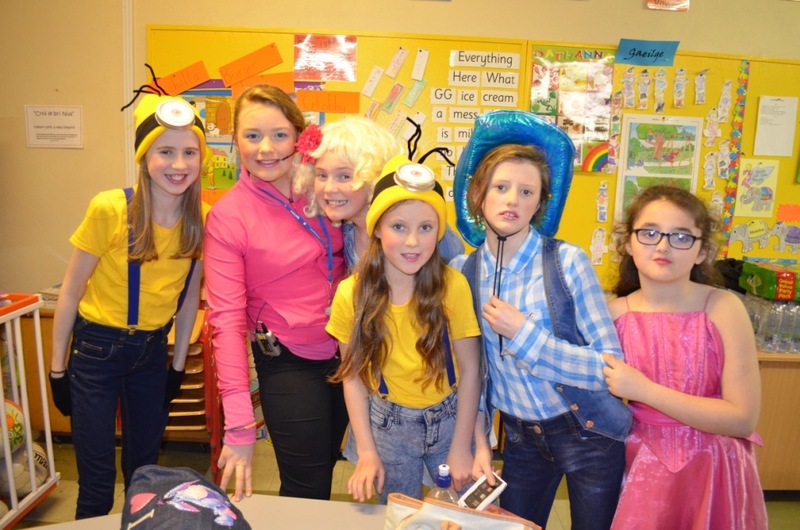 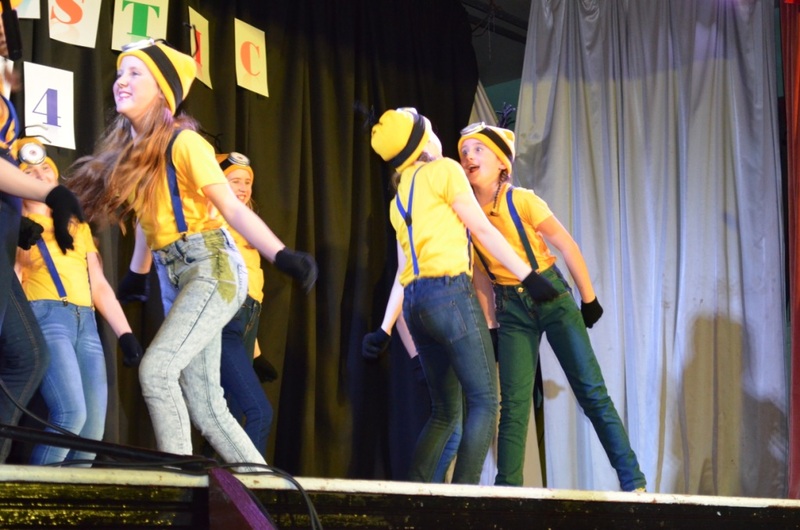 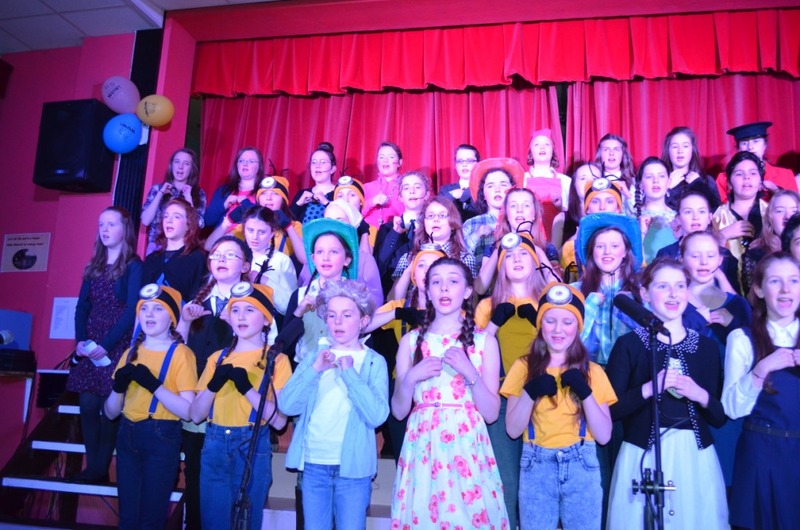 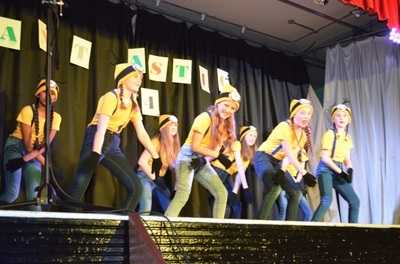 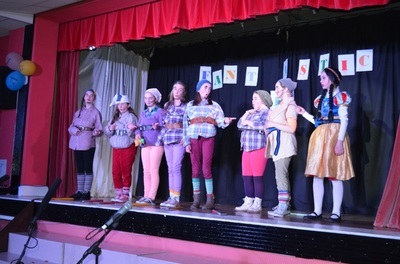 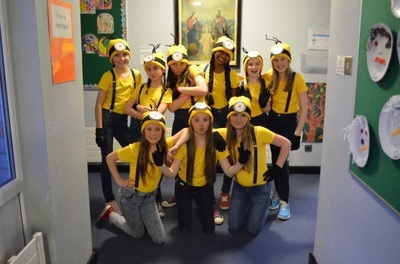 Two lively songs were performed by the Sixth Class ballad group at that point and then to the delight of the younger members the Minions did an act followed by a wonderful dance. After the interval on Wednesday night Third and Fourth class performed a selection of songs and recited a poem by A.A. Milne. On Thursday night the First and Second Classes sang songs, played tin-whistle and recited an Easter poem. 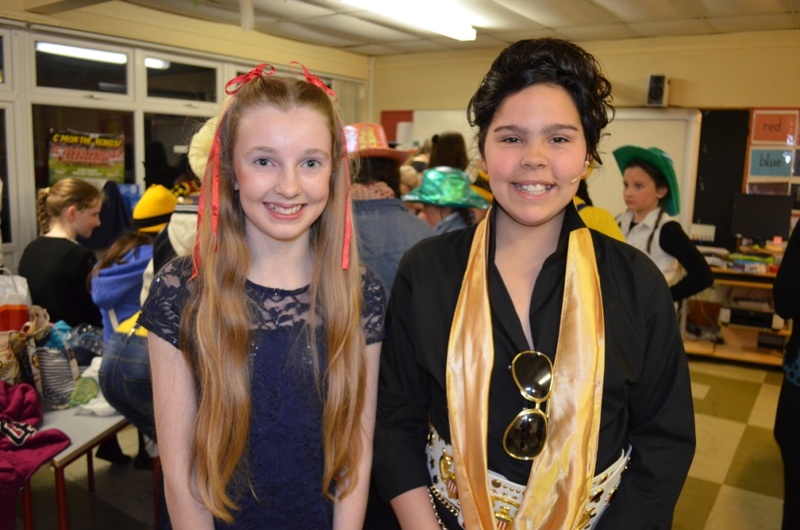 These guest appearances were widely acclaimed and added to the energy of the night. 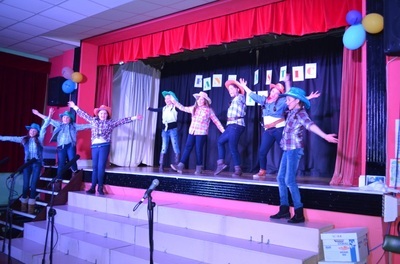 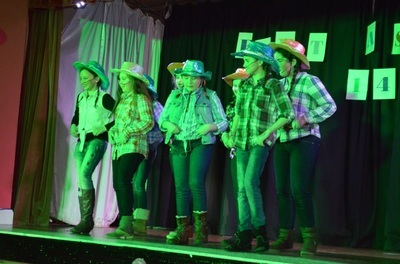 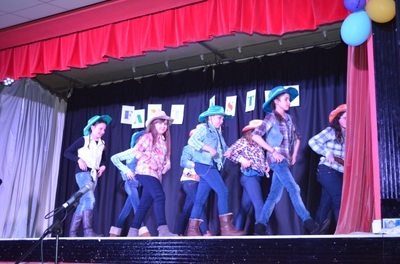 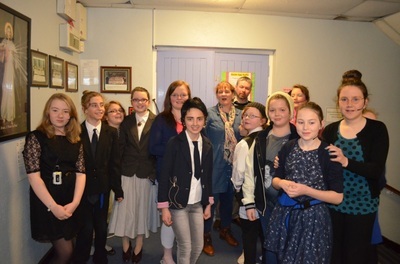 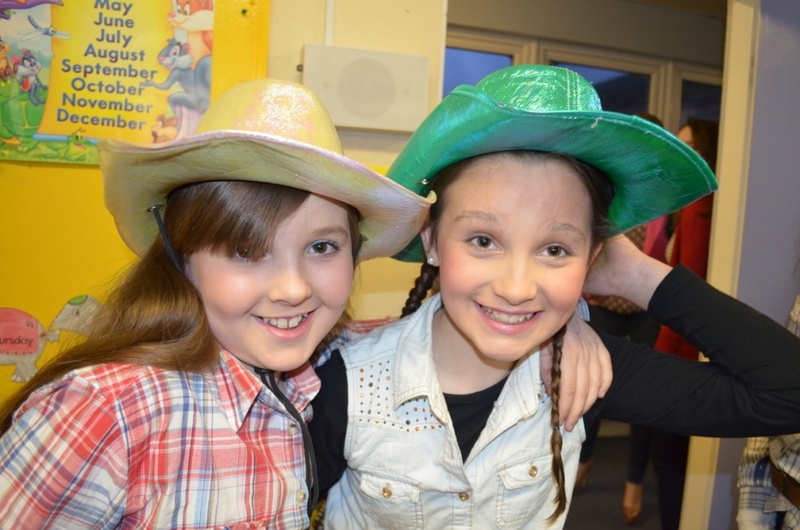 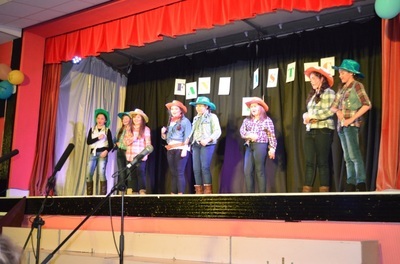 The second half of the Choir and Drama group’s presentation commenced with Cowboys who were eager to secure tickets to Garth Brooks’ and gave great vocal performances as well as doing a line dance, which evoked great clapping from the audience. 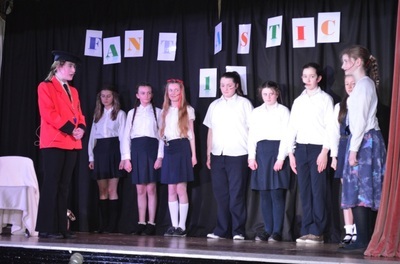 A Sixth class pupil with television experience for her lrish dancing talent mesmerised the audience with a sterling performance. 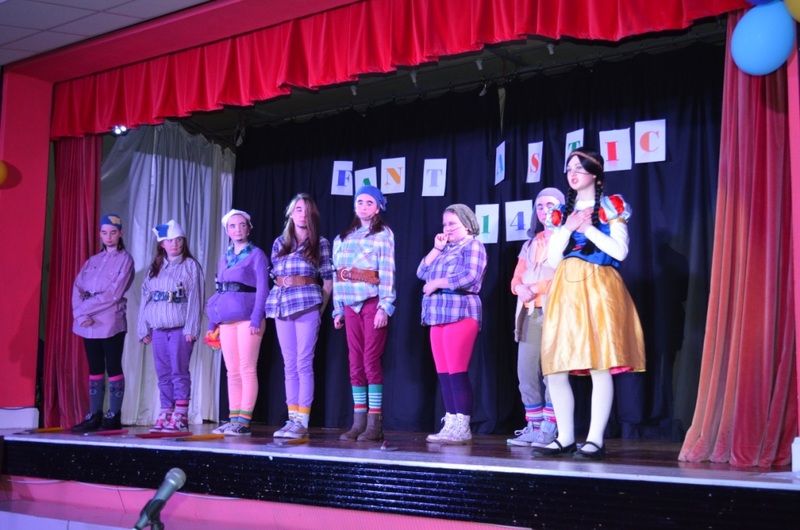 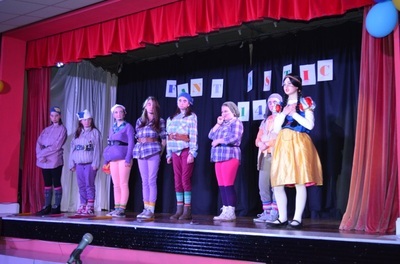 After this the Seven Dwarfs surprised everyone by arriving from the back of the Hall with Snow-White in tow to display a song and dance routine and tell their story in verse, a year after Snow-White had been whisked away to Prince Charming’s palace. 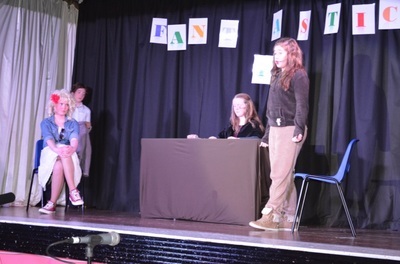 The final act was nostalgic scene from the Sound of Music, with outstanding vocals and acting. 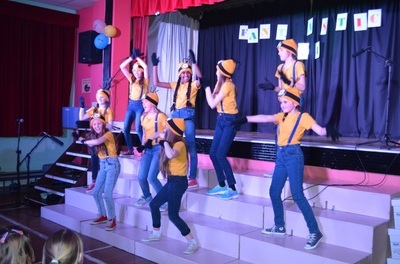 The show ended with the final chorus of Elvis songs followed by a repeat of the “Happy” song and dance from the Minions. 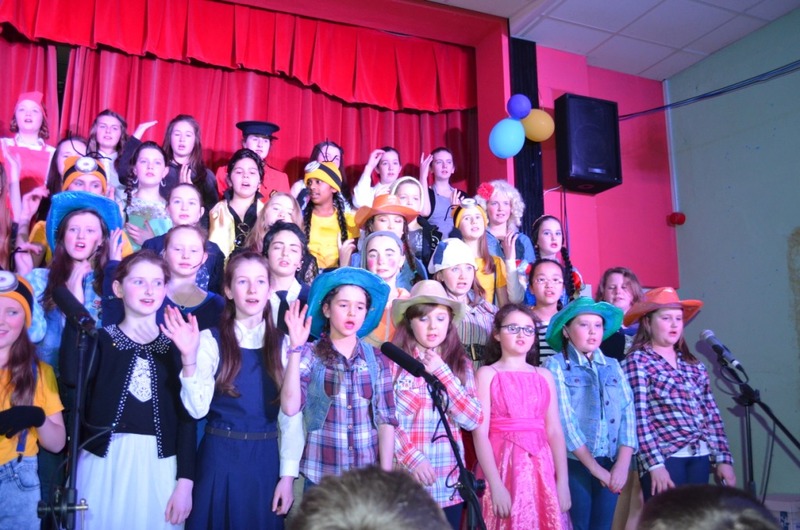 Overall, almost two hundred children performed over the two nights. 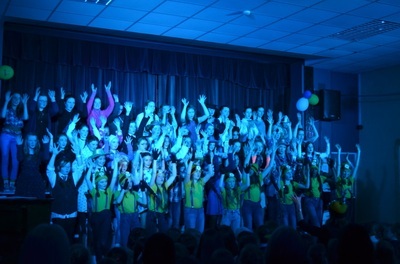 We were lucky to have full houses on both nights. 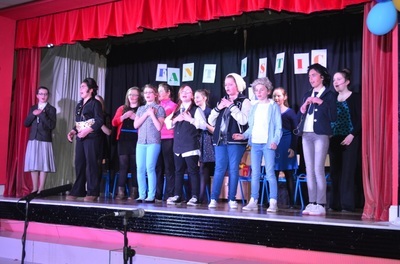 The Parents’ Council organised raffles which were well supported by both our sponsors (generally the parents themselves who donated prizes) and all who bought tickets. A big thank you to all who were involved in the Choir and Drama Group over the past number of months, namely Eiiís Watson, Emma Fleming, Tom Quinlan, Jim Mannix, Molly O’Sullivan, Cáit Shinnick, Niamh Hyland and Kayren Hayes-Brennan. 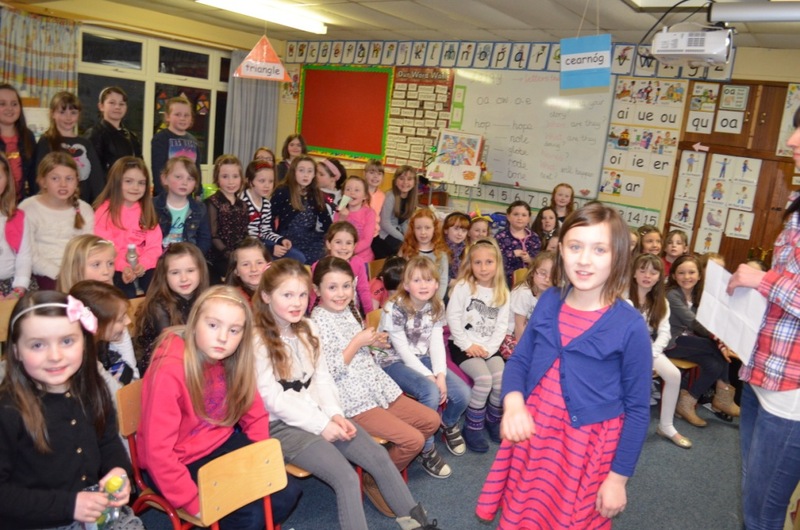 All the teachers volunteered to tutor the girls over this time, after school on Thursdays. 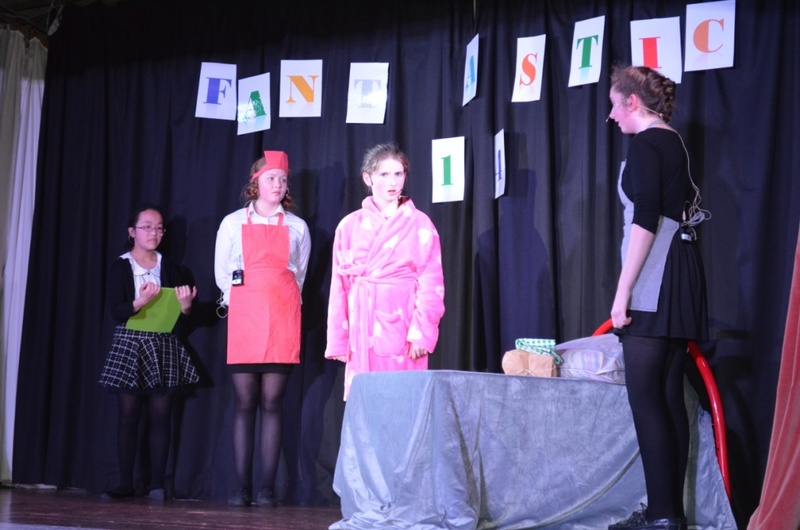 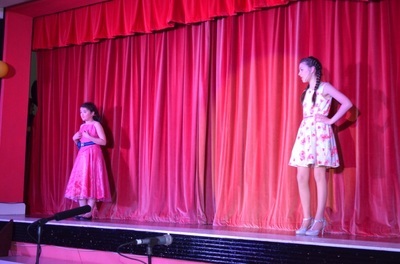 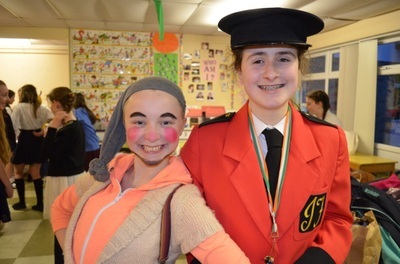 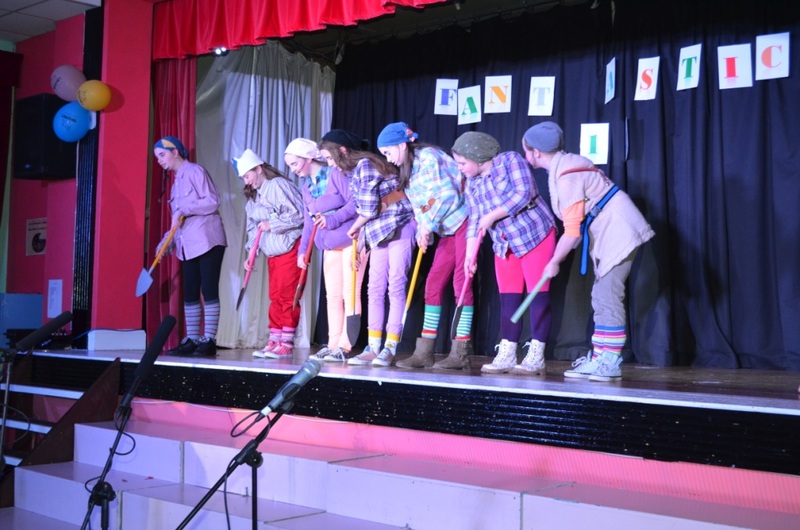 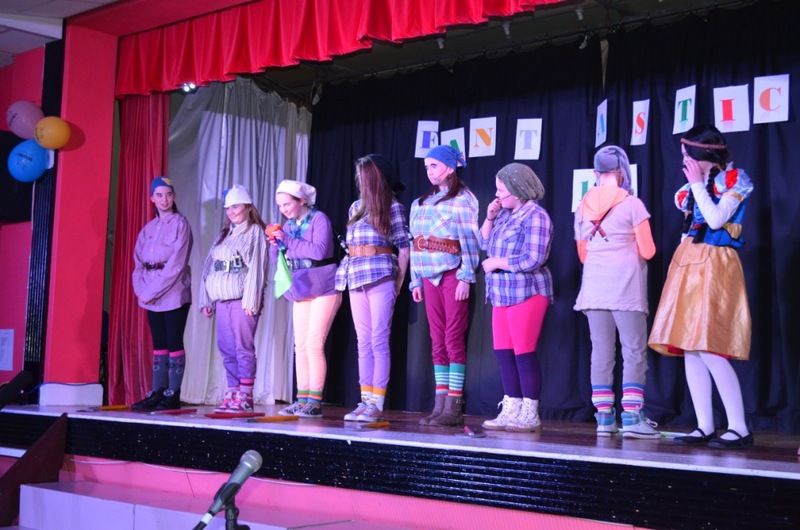 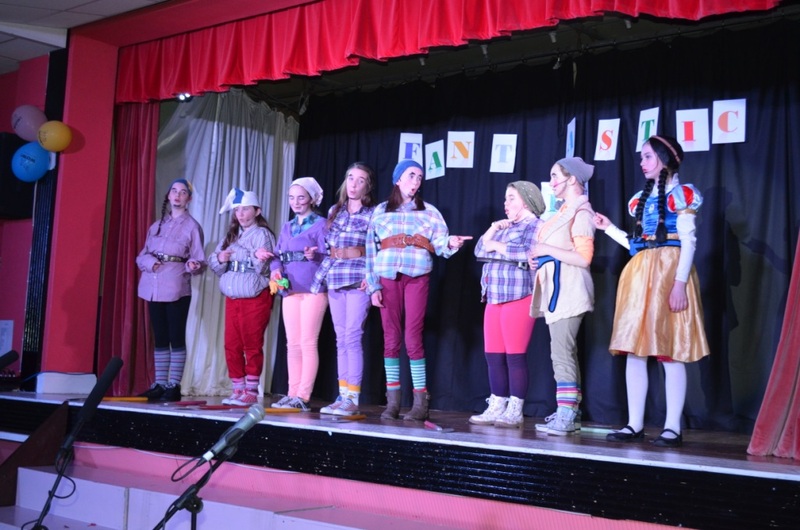 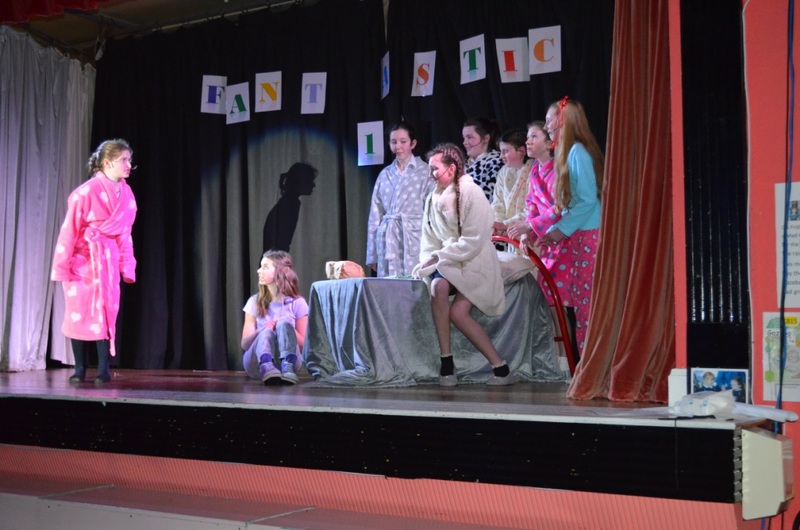 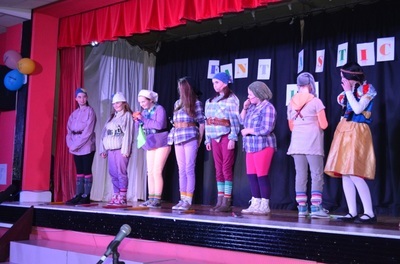 It was a marvellous opportunity for the girls to avail of such a chance to sing, dance and act weekly, culminating in performing to full houses. 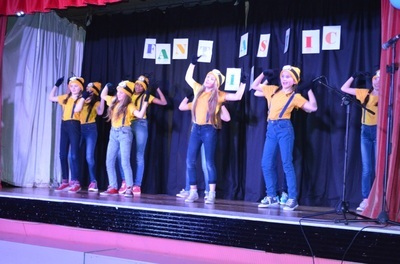 Full credit must go to the girls themselves, whose behaviour and enthusiasm meant that spending extra time with them was an enjoyable prospect for the teachers. Special gratitude to all the staff and parents who came on both nights to help out supervise, organise the shop, make the tea, sell the tickets etc. and of course to our sound engineer Justin Finn who ensured every single word could be heard. 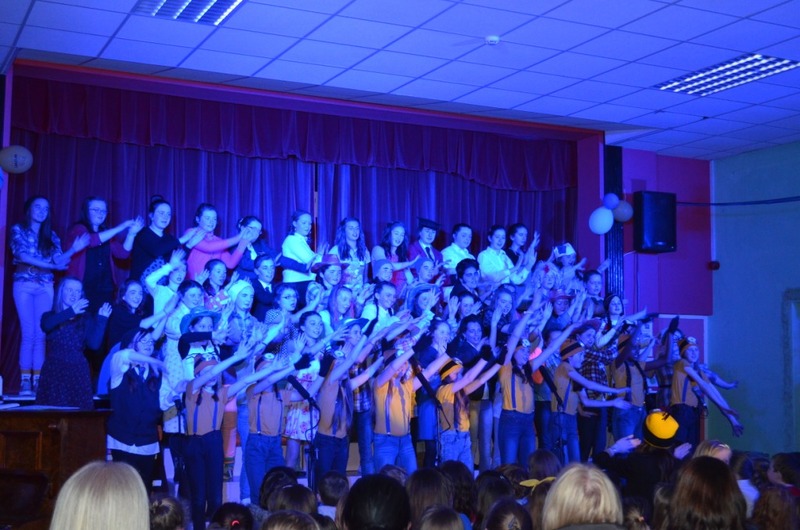 Until next year……. Look at some photos below.